An innovative research network led by the University of Liverpool has secured funding as part of a new £3 million joint technology initiative announced today. 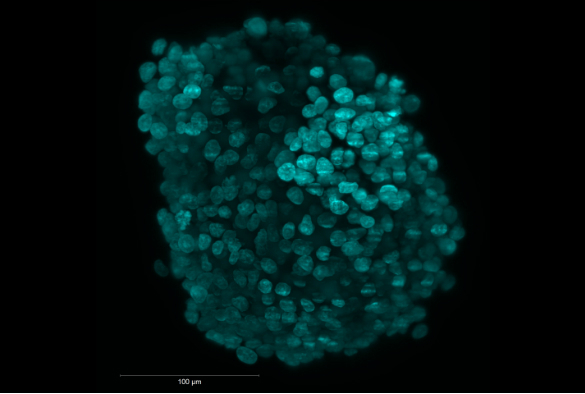 3DBioNet brings together academic and industry experts from different disciplines to examine cells growing in three dimensions. Scientists have traditionally grown cells on flat surfaces but these are not representative of their natural state in the body. Despite the barriers to overcome, this field has huge potential for discovering new medicines, re-purposing old ones and developing a more personalised approach to medicine. Project lead Dr Raphael Lévy, from the University’s Institute of Integrative Biology, said: “Just like going from 2D printing to 3D printing requires new materials, new software, new ideas and new procedures, going from 2D cell culture to 3D cell culture requires a large number of innovations in the methods, materials and technologies that scientists use to design, perform, analyse and interpret their experiments. With this new funding, 3DBionet will use scientific meetings, social networks and pump priming projects to generate collaborations and accelerate progress in the development of 3D cell culture and microtissues. Technology Touching Life is a joint initiative between the Medical Research Council (MRC), Biotechnology and Biological Sciences Research Council (BBSRC) and the Engineering and Physical Sciences Research Council (EPSRC), all part of UK Research and Innovation. Five research networks, awarded £3 million through the initiative, will harness new and emerging developments from the engineering and physical sciences to advance life sciences discovery research. 3DBioNet is co-directed by Dr Raphaël Lévy and Professor Helen Byrne at the University of Oxford’s Mathematical Institute.